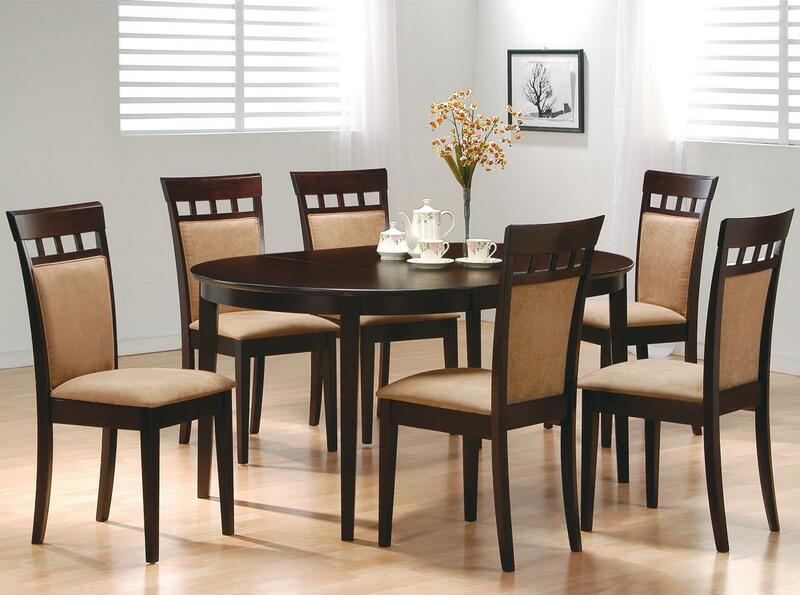 This lovely dining table and chair set will be the perfect addition to your casual contemporary home. The simply styled table has a smooth oval shaped table top above sleek square tapered legs. The chairs have high backs with an open grid pattern along the top for a distinctive style, with a plush upholstered panel. 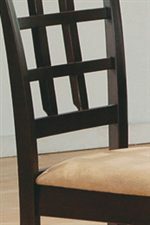 Padded seats covered in soft deep mocha colored microfiber adds to the comfort and durability of these chairs, above sleek square tapered legs. Add this stylish dining set to your dining room for a warm and inviting space where friends and family will love to gather. The Mix & Match 7 Piece Dining Set by Coaster at Northeast Factory Direct in the Cleveland, Eastlake, Westlake, Mentor, Medina, Macedonia, Ohio area. Product availability may vary. Contact us for the most current availability on this product. 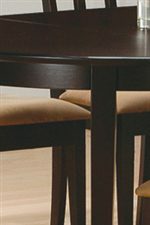 The Mix & Match collection is a great option if you are looking for Contemporary furniture in the Cleveland, Eastlake, Westlake, Mentor, Medina, Macedonia, Ohio area. Browse other items in the Mix & Match collection from Northeast Factory Direct in the Cleveland, Eastlake, Westlake, Mentor, Medina, Macedonia, Ohio area.